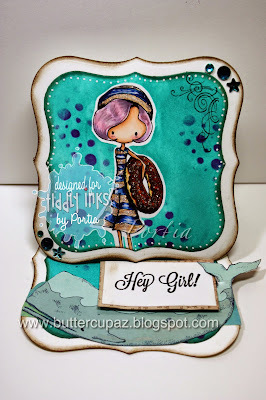 Strawberry Road: Take it Easel-y with Bathing Beauty!!! 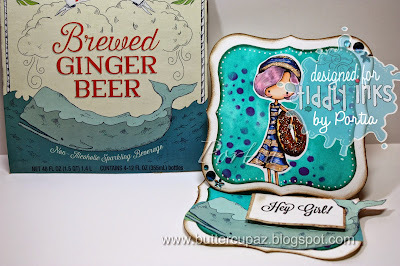 Take it Easel-y with Bathing Beauty!!! Bathing Beauty is on of my most favorite Tiddly images! She is so classy with her vintage bathing suit and cap! I adore her! 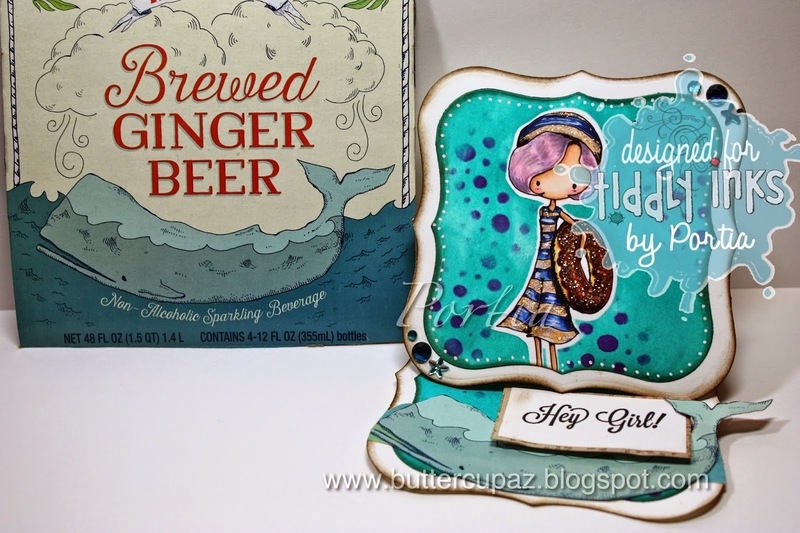 In addition to Bathing Beauty, I used white paper, Dylusions Paint & Stencils, a whale image from a Trader Joe's Ginger Beer box, Walnut Distress Inks-so if you think it's dirty, that was the "look" I was going for! lol Please see below for a more detailed list of supplies! 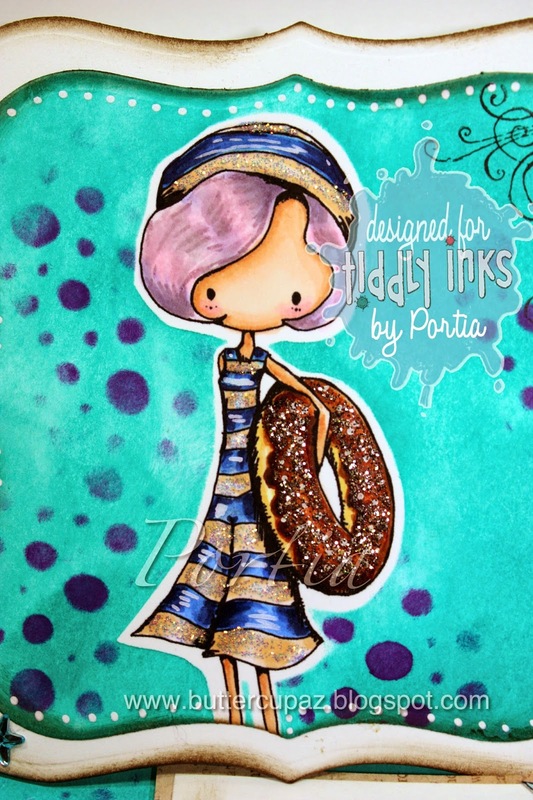 "Bathing Beauty" Digi found here. Thank You for taking a moment to stop by! Please grab some inspiration on the way out! Also, consider cutting up a cereal box or some packaging you find at the grocery store for your next project! the sky is the limit! 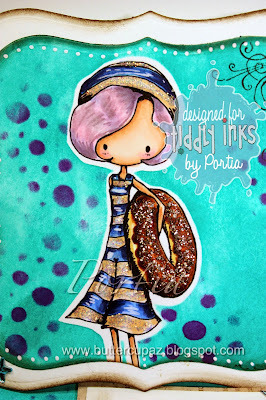 Tiddly Inks Challenge Blog is here. I wouldn't have guessed this was your first easel card - you totally rocked it! I love how it turned out!! You chose very beautiful colours and I really like the background. Wonderful card! "So easel-y" tee hee! Absolutely splendid card! That whale is the perfect touch. Mom and Me-Fabby Friday Make!!! May Flowers with Scooting By Wryn!!! Love is in the Fabby Friday Air!! !